Turkeys make their way through a field. 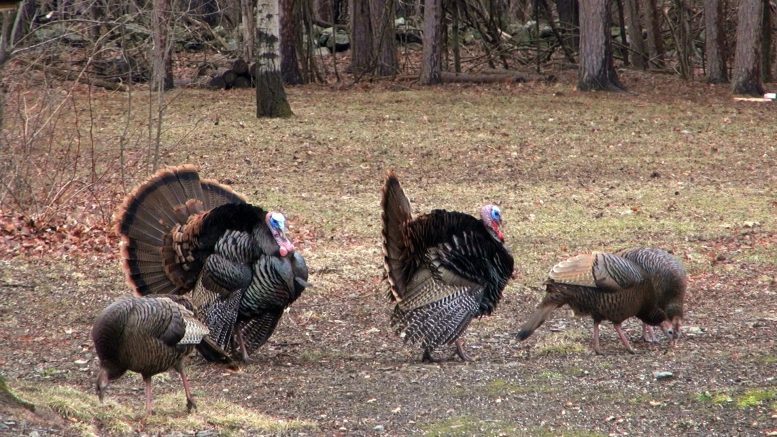 Alpena- With temperatures falling in Northeast Michigan, the timing is perfect for hunters to hit the woods and fields for season of turkey hunting. According to the Michigan DNR, around 93,000 turkeys roam around Michigan. Michigan is ranked 8th in the nation for the number of turkeys taken by hunters. Hunters who grabbed a licenses can hunt until May 31st.